Performance and stabilityThe following areas feature performance and stability improvements (formerly released as service packs). When bitmaps are edited in Corel PHOTO-PAINT, their horizontal and vertical resolution is preserved. Files from version X5 that contain monotone bitmaps open properly in version X6. The dpi of imported JPGs that were originally created in Adobe Illustrator or Photoshop is properly displayed. Font size is described correctly in exported SVG files. SVG files that are missing a line break before the “svg” document fragment can now be imported. 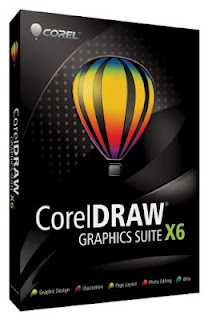 In CorelDRAW, various instability issues were addressed in areas such as opening files, changing the units of measure, importing PDF and SVG files, deleting pages in Page Sorter view, printing and exporting Asian text, and more. In Corel PHOTO-PAINT, instability issues were addressed in features such as undoing actions in Paint-on-Mask mode and using the Clone from Saved brush. In addition, certain errors reported by Windows were addressed.